I would have posted this sooner (and got permission to do so now), but I've been very busy for the past two weeks. \GameInfo\CIV5Worlds: General increase in playercount. I play with fewer City States than normal. Another player helps fill out the map. \GameInfo\CIV5Policies: Tradition opener Culture 3->2. Tradition was too much "low risk high reward" for me, and I wanted a minimalistic change. Since of the four starting trees, Tradition generates the most culture early on, I decided to nerf that. \Terrain\CIV5Improvements: Academy Science 8->6, Scientific Theory Academy enhancement 2->1, Customs House gold 4->8, Economics Customs House enhancement 1->2. When you would turn down a free Great Merchant because it delays your scientist, something's wrong. \Terrain\CIV5Improvements_Inherited_Expansion2: Atomic Theory Academy enhancement 2->1. 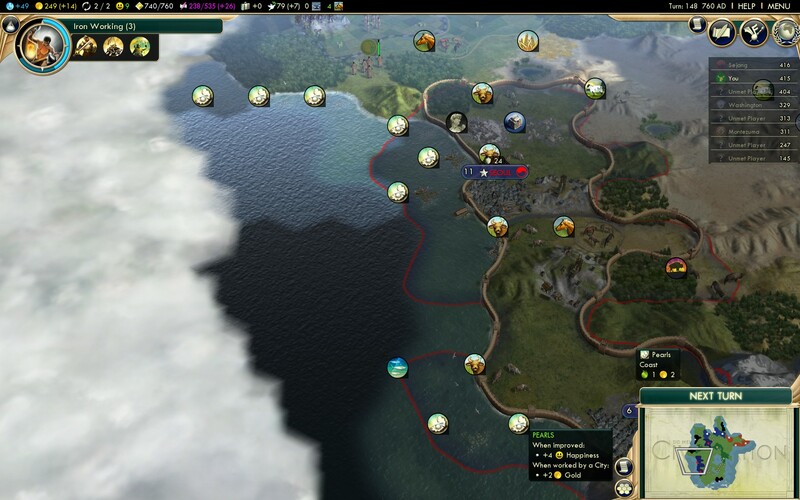 \Units\CIV5Units: Doubled Trade Mission gold. \GameInfo\CIV5HandicapInfos: Removed map and barbarian notification as outcomes from Ancient Ruins (on Prince difficulty). These felt disappointing to get. Have you made any changes? If not, are you looking forward to changing something?